One of the biggest challenges in real estate marketing today is creating video content. Let’s face it, agents are not meant to be self-producing video creators. There is a learning curve to production, post-production, equipment, storyboarding, and the list goes on. And yet, the first thing you’ll hear from the experts is that video marketing is one of the trends that has a large impact on search engine optimization, mobile marketing, capturing attention, and traffic. All true. So I think you’ll like the news that was released today. 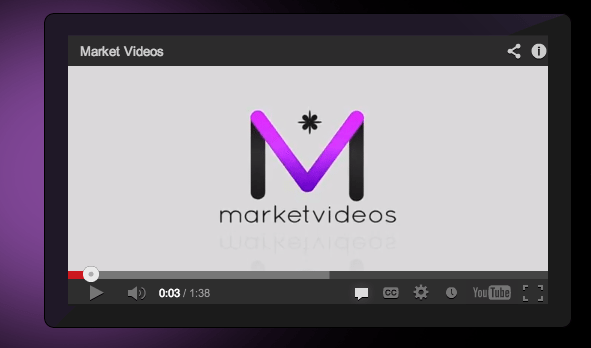 Out of Orlando, Fla., MarketVideos.com has just released its agent-focused video marketing platform, which offers turnkey, hyperlocal market data from an agent’s MLS area in a beautifully produced video that is branded and customized by the agent.